The musical wealth of Nigeria seems to know no bounds – especially when it comes to the worlds of funk and soul-styled records – and you can take it from us that when we're digging for vintage African gems, more than most seem to come from Nigeria in the 70s and 80s! That's why, even into the 4th volume of this excellent series, the whole thing still explodes like a completely fresh discovery of music – filled with songs that we'd not discovered before, many of which have never been reissued either – all pulled together in a beautiful package that offers up enough thoughtful comments on the music to show that the guys at Strut always know where they're going when they reissue rare gems like this! 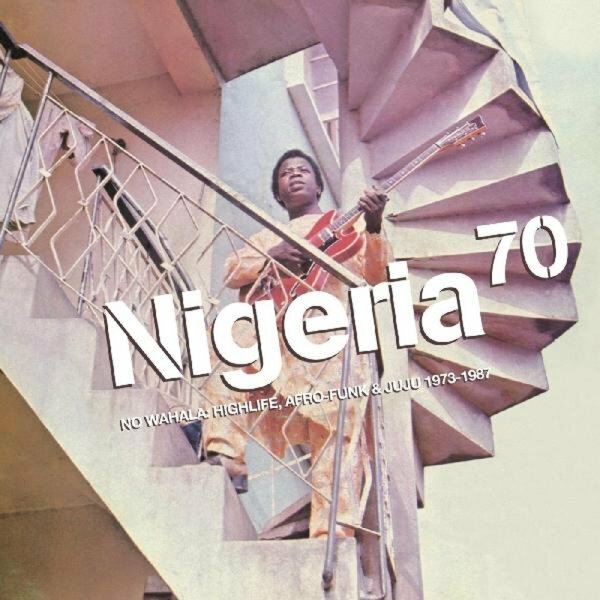 Titles include "Sickness" by Prince Nico Mbarga & Rocafil Jazz, "Africa" by Sina Bakare, "Oni Suru" by Odeyemi, "Onuma Dimnobi" by International Brothers Band, "Kinuye" by Don Bruce & The Angels, "Let Them Say" by Rogana Ottah & His Black Heroes, "Psychedelic Shoes" by Etubom Rex Williams & His Nigerian Artistes, "Iziegbe" by Sir Victor Uwaifo & His Titbitis, "Mundiya Loju" by MA Jaiyesimi & His Crescent Bros Band, "Obonogbozu" by Osayomore Joseph & The Creative 7, "Black Precious Colour" by Felixson Ngasia & The Survivals, and "Special Secret Of Baby" by Saxon Lee & The Shadows International. © 1996-2019, Dusty Groove, Inc.